Apply Feng Shui Cubicle Tips - Don't get frustrated! Feng Shui Cubicle Cures help to remove stuck or negative energy and power up your mind for prosperity. One of the most important Feng Shui Cubicle advice is to make sure that you work in pleasant and supportive environment. The office energy and daily interactions with your co-workers and supervisors have tremendous impact not only on your work performance and career but your health and overall happiness as well. If you are not comfortable doing that, other best option is to buy calendar that features your dreams in beautiful photograps (cars, vacations, homes, etc.) and hang it in your Feng Shui Money/Wealth corner. 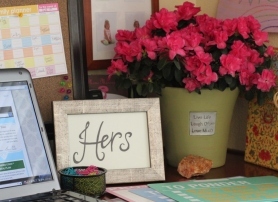 Surround yourself with positive images in your office and home. Every time you glance through your space your subconscious mind will notice and reinforce your goals. This is simple yet very powerful Feng Shui cubicle way to stay focused and positive. In Feng Shui Golden Koi symbolizes prosperity, green is color of money. 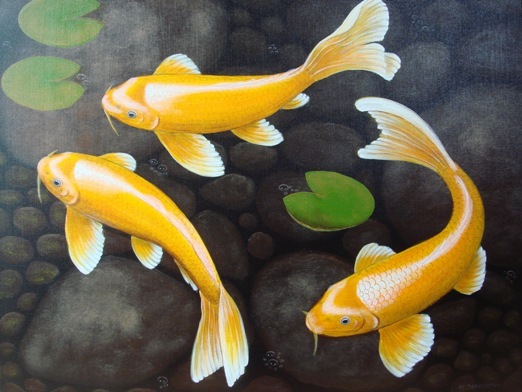 3 Golden Koi placed swimming into your Wealth Corner attract cash flow energy by helping to keep your mind sharp focused. Remember: You need to focus only on what you really want - your goals, dreams and desires. Never on what you don't want - unless you want more of that. If you get most of your business using the phone, place it in the Feng Shui Wealth Section of your desk. Tie red ribbon on the phone cord to activate it to bring more business. Cut a 9 inch or cm long ribbon piece and tie it on your phone cord. Place purple crystal on golden stand next to your phone. Purple color means prosperity and money. Crystal disperses any negative energy on your desk. If you want to get promotion, place a plant with bright red flower or red pot in Reputation / Fame area of your desk. Plant signifies growth and stability. You can add an odd number of beautiful plants. They will bring more growing and living energy to your cubicle. They work the best if placed in Feng Shui Reputation or Family section of your cubicle. To keep your good health and energy up, place yellow colored item such as calendar in the Feng Shui Health section of your office desk. Or you can tape large yellow sun under the middle of the desk instead. Don't forget - colors and their vibrations affects us on deep levels - so use them to your advantage. Simple water fountain near your cubicle entrance is a very powerful Feng Shui tool as it clears any negative Chi from people passing by your cubicle. Flowing water can also increase your salary or bring new opportunities. Place it near the entrance or in your Feng Shui Wealth corner of your desk or office. If water fountain is not acceptable at your work place you can get same benefits from a picture of waterfall or fish swimming INTO your office or into your Feng Shui wealth corner (never out). Offers strong protection if a co-worker is causing problems. 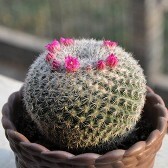 Just create a symbolic barrier by placing a cactus between you and co-worker or in the direction of the cubicle he or she uses. Helps to protect your precious health and energy. Both Cactus and Grouding pads offer an excellent protection against EMF's coming from all the electronics, wi-fi and cell phones surrounding you. Other flowers with protective qualities that you can use in your cubicle are beautiful ferns, geranium or yarrow. 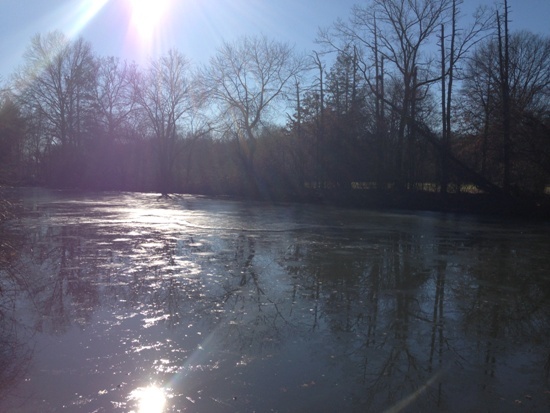 Space clearing can be a private mental exercise. It's very effective especially if you work in a crowded and busy office. Create an image of a guardian figure in your mind. If you feel suddenly uneasy, use your mind to "place" your guardian at your office door or sitting next to you and creating a strong barrier of protection that no one can cross. If you need to relax your tension or stress, look at the image you have placed in your cubicle that relaxes you such as still lake, peaceful countryside or meditating Buddha, anything that calms you down. Concentrate on it for few minutes while breathing deeply in and out. Invite calmness in and let all tension out. Easy but very effective! An easy Feng Shui cubicle tip: Place a calm image on your wall to help you re-center and regain your focus back. If your place of work brings daily dose of challenges but you enjoy working there and interacting with your office staff then apply as many Feng Shui cubicle tips as you can to boost your career success. If you work in unhappy place full of tension, conflicts even harassment you should consider changing your job fast. It's simply not worth it. You deserve better than that. Apply as many Feng Shui cubicle office cures as you can in your cubicle and you may find yourself decorating your new office soon.